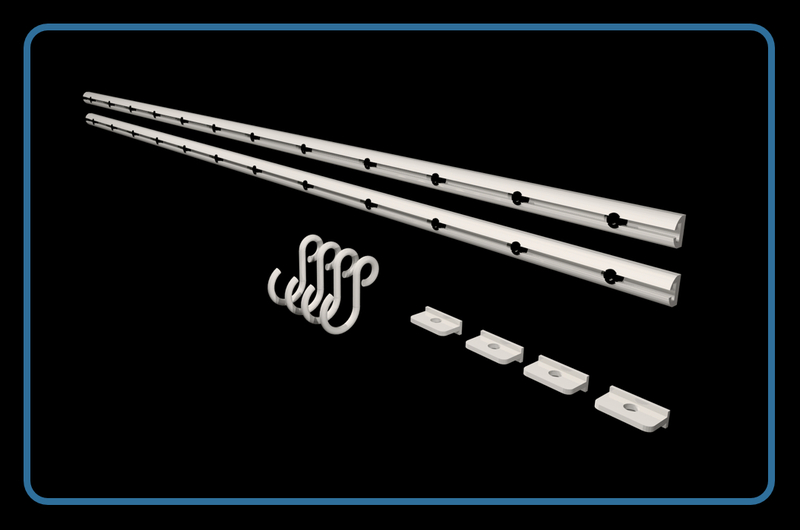 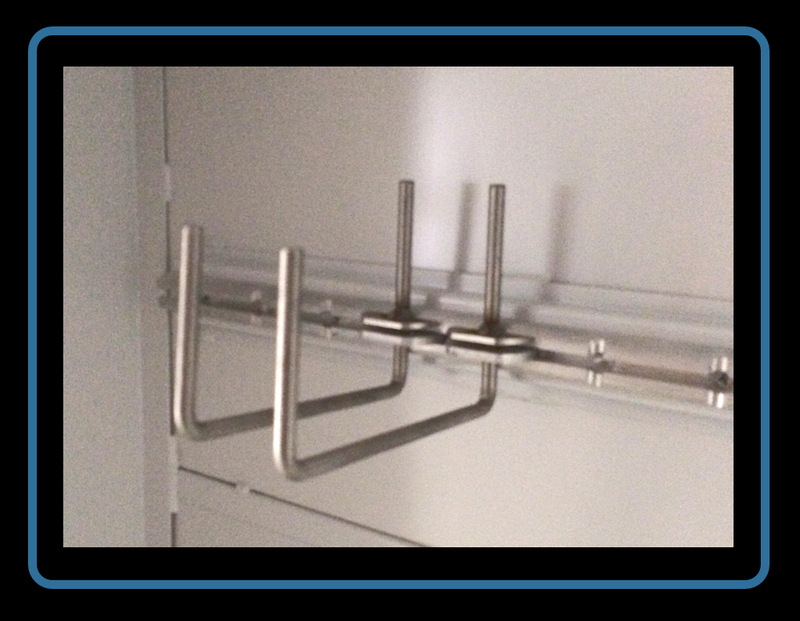 Each standard Up-Tite system comes complete with 2 rails, 4 slides, 4 universal hooks and all the mounting hardware. 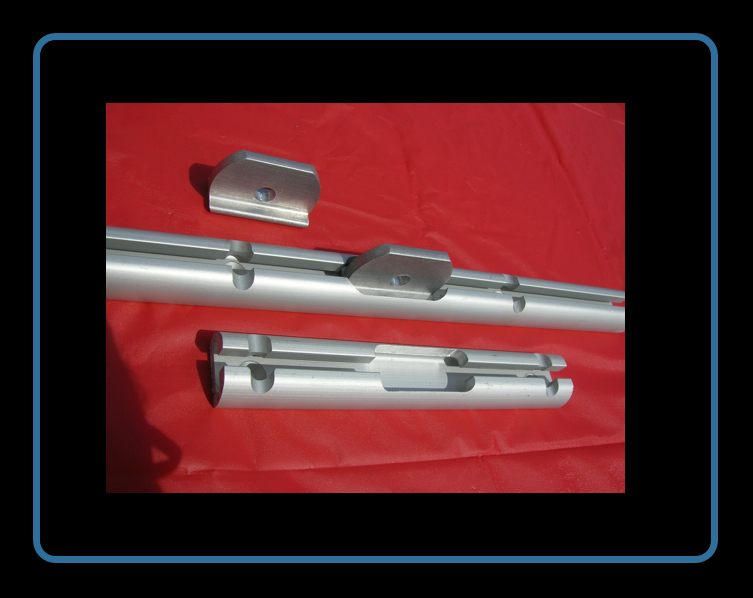 Available in 75", & 95" lengths. 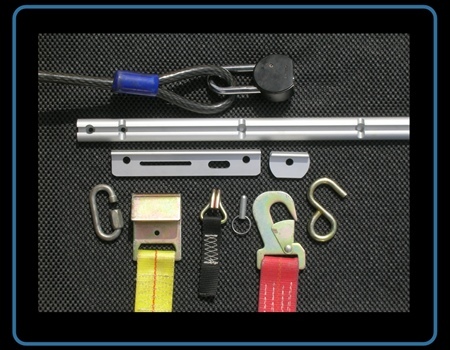 Additional slides and hooks are available. 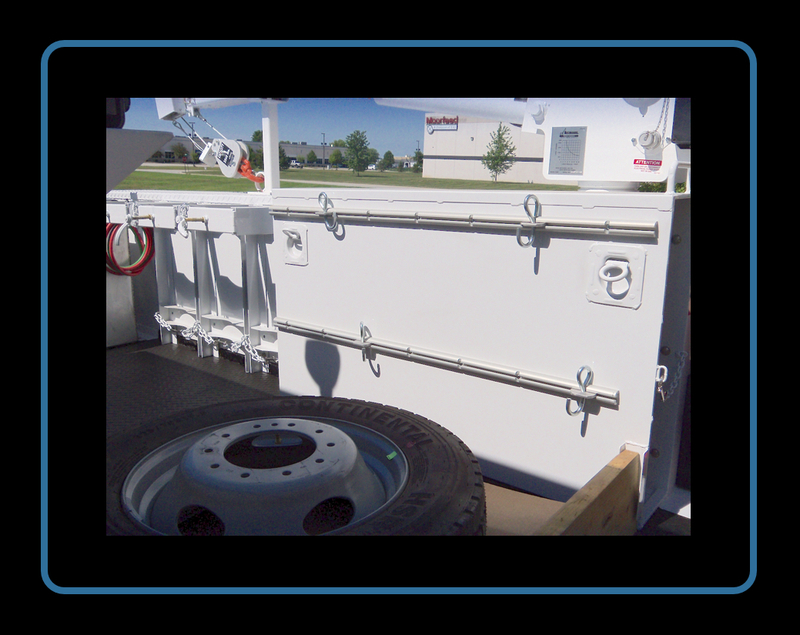 The Up-Tite Cargo Securing System is proudly made in the USA, and provides the flexibility, strength and quality needed for today's tough cargo securing jobs. 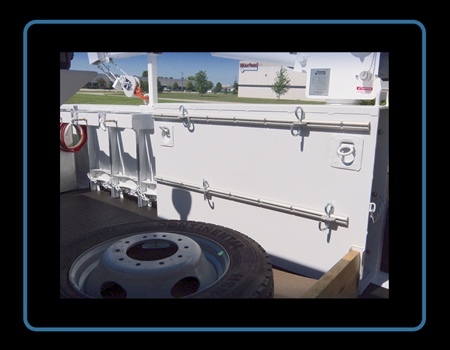 After years of field testing by several industrial end users, the Up-Tite System has performed as designed, with no failures, or damage to cargo when installed according to the manufacturers recommendations. 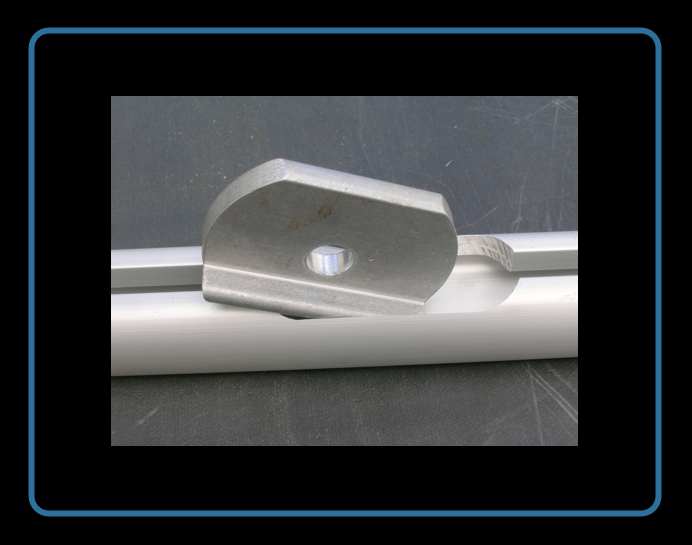 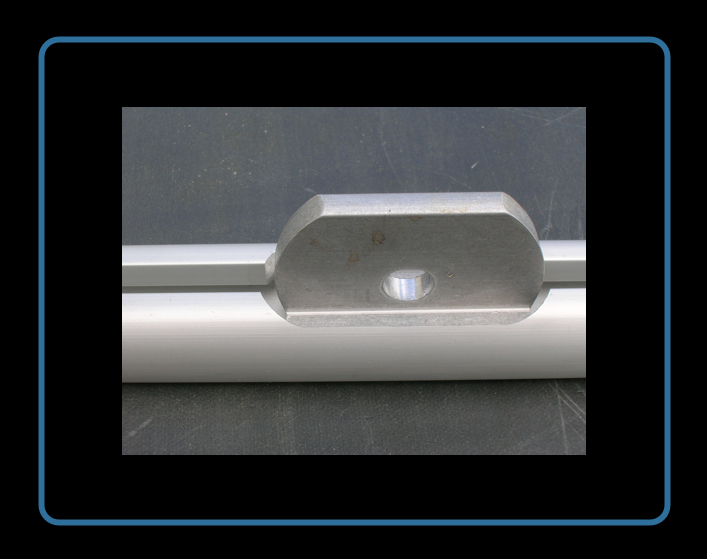 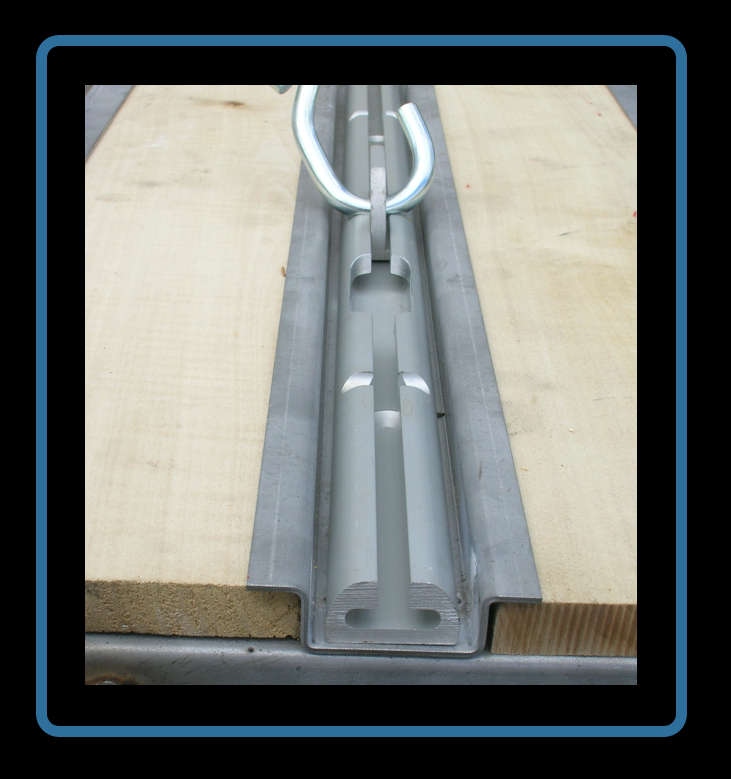 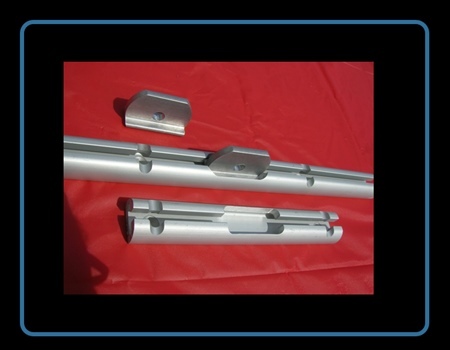 The Up-Tite Systems rails and slides are made of structural grade 6061-T6 ALUMINUM for strength, and ANODIZED for a long-lasting, corrosion-resistant finish. 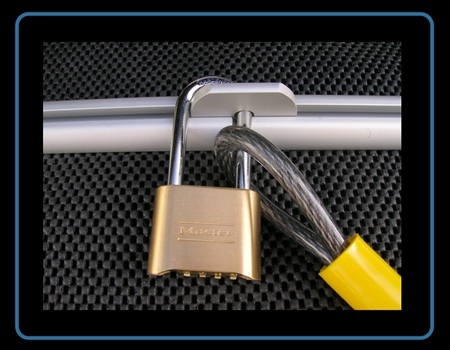 For extra security you can add a padlock to anchor your motorcycle, snowmobile, atv, waverunner or tool box. 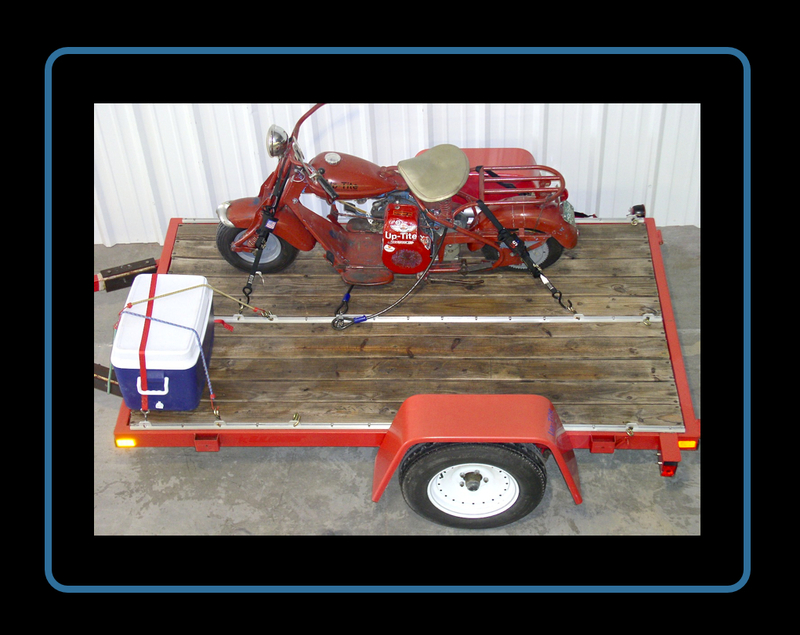 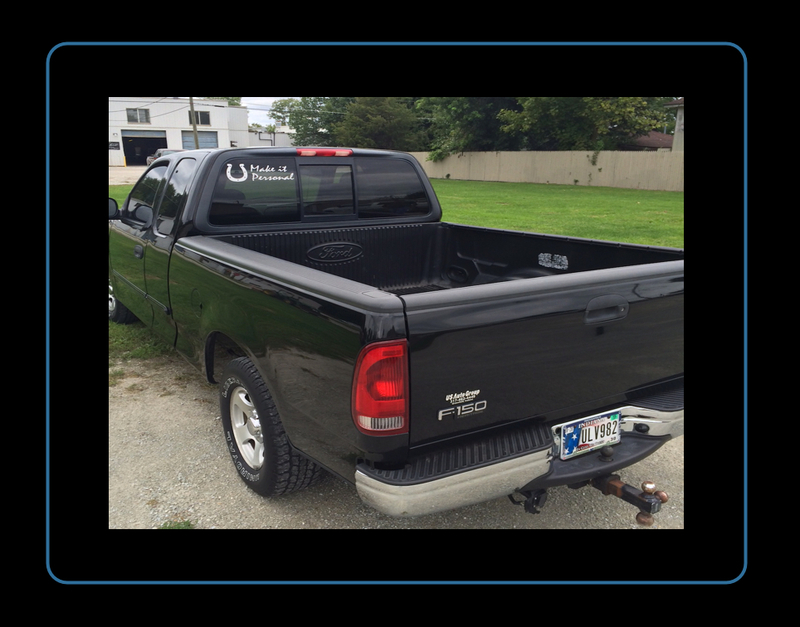 Manufacturers of toybox trailers, cycle hauling trailers, service body trucks and other hauling equipment have purchased our cargo tie-downs for years. 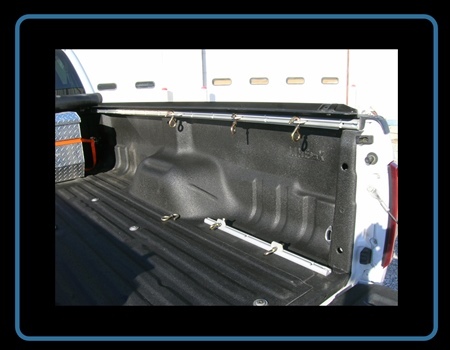 Farmers, truckers, retailers of aftermarket truck accessories, and many other people who need to secure cargo of nearly any sort rely on load securement equipment from Up-Tite Securing System. 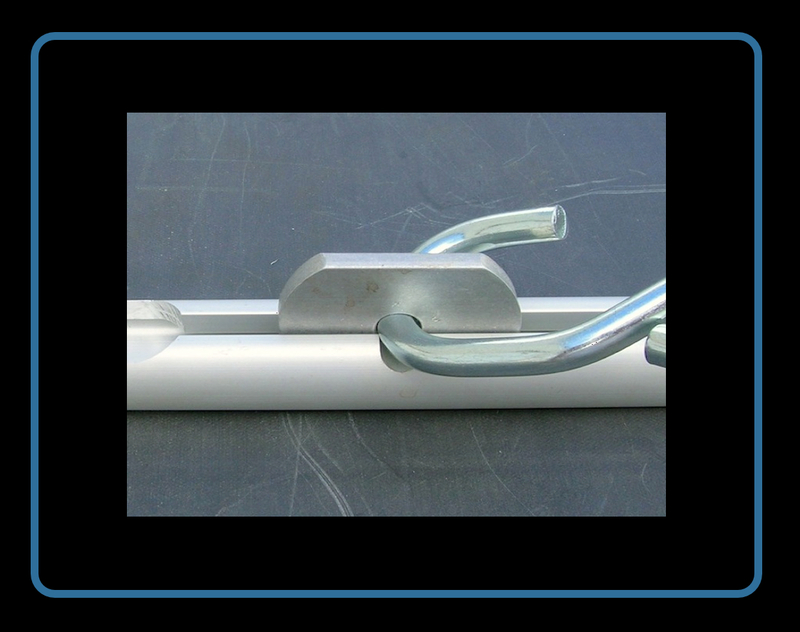 Just click on CONTACT US and give us a call, or email us with any inquiries or questions about the industrial Up-Tite cargo securing system. 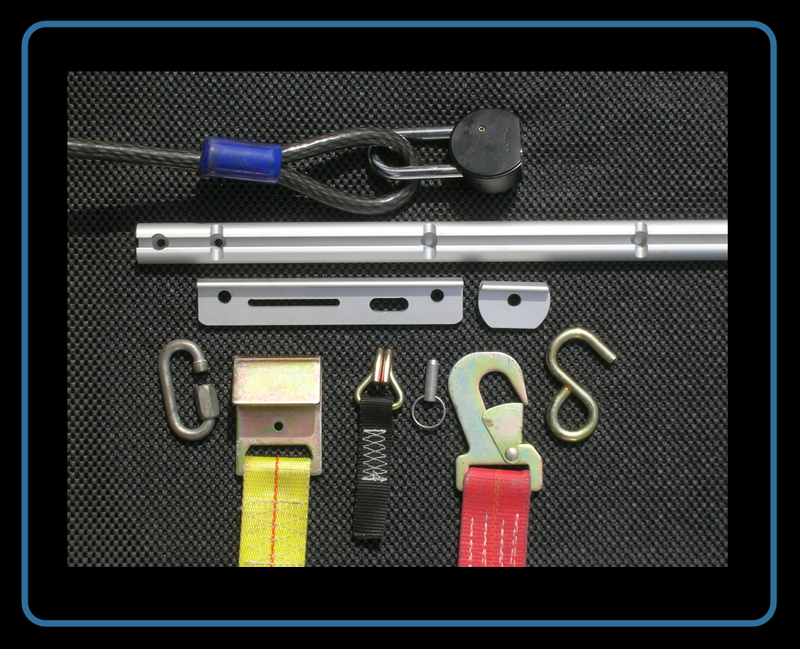 Jobber and Distributor inquiries welcome.